This book is for any woman considering a vaginal birth after one or more previous caesareans. What are the risks? What are the advantages? What is the best choice in your particular case? The author, Hélène Vadeboncoeur, takes you through the research and also gives you a glimpse into other women's experiences through the use of first-hand accounts. It was, in fact, the author's experience of two very different births (one a caesarean, the next a VBAC) that inspired her to get a PhD. In her thesis she explored how women experience giving birth in hospital. Hélène wanted to consider questions about birth because this is such an important event in women's lives. For over 10 years since then, she has divided her time between teaching and participating in research projects. (She is currently on the Board of the International MotherBaby Childbirth Organization.) She also regularly gives talks at conferences around the world. This means that you not only get the benefit of advice from a woman who's been through both a caesarean and a VBAC, you also get taken through the most up-to-date research (now updated for the 2nd edition). Serious information is presented in an upbeat, readable style. Comment from a consultant: "As a professional who is concerned about the risk in the caesarean rate I would like to suggest that all women who have anything to do with caesareans read this book. The author has collected research data and precious accounts, which will help women make an informed choice as to how to give birth to their babies." 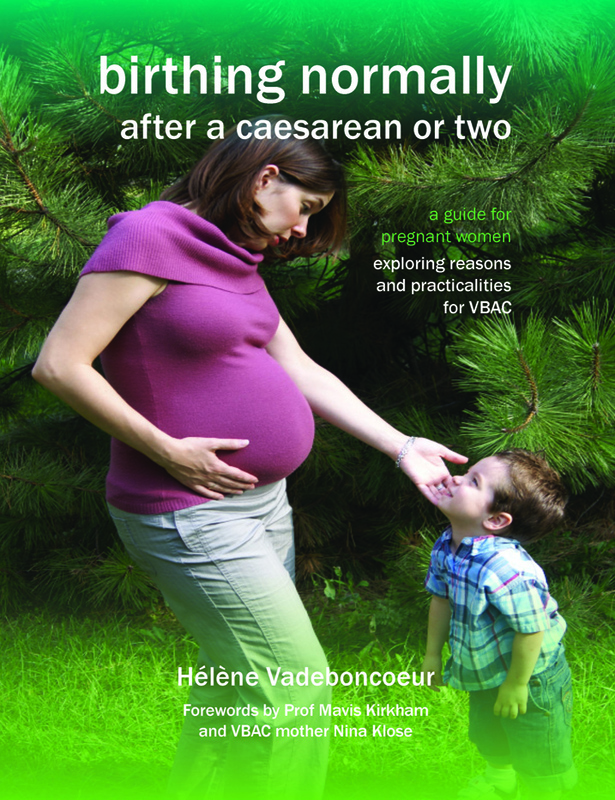 Feedback from a midwife: "Hélène Vadeboncoeur offers women an important tool to support them if they choose to give birth vaginally after a previous caesarean." Comment from a reader of the original, French edition: "This book is a response to questions. It will serve to demystify fears and inspire confidence."